Even in winter you can enjoy a pleasant recreation in the indoor swimming pool of hotel complex Predel. 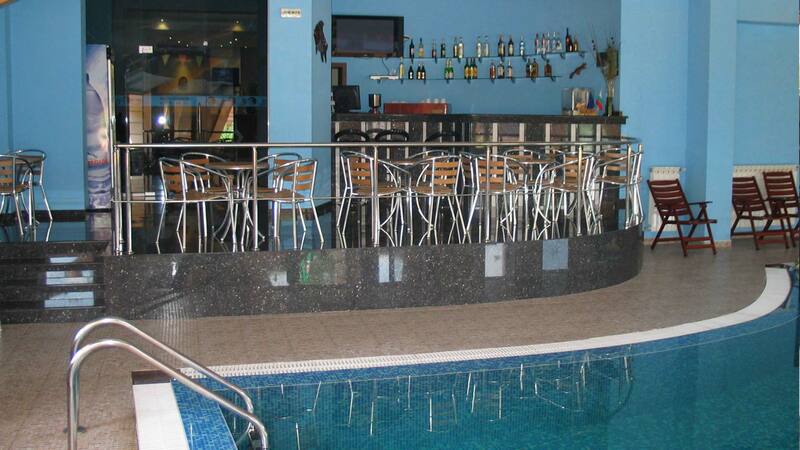 For greater convenience, there is a bar near the pool, where you can have a drink with friends and choose from a wide variety of branded alcoholic drinks. During the day, you can relax in the warm, cozy atmosphere with a cup of coffee or tea.